Explore different range of hair or fabric conditioners as we bring you only the cheapest and quality-tested deals. Taking care of your locks is as important as maintaining the fabric quality of the clothes we wear--this is exactly where we need the nourishing touch of conditioners. You can take advantage of 3-for-2 offers, free deliveries and other special offers. Choose from the best hair conditioner brands such as TREsemme, L'Oréal, L'Occitane and John Frieda from Superdrug, Boots, Poundshop and Lloyds Pharmacy. 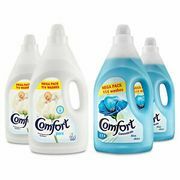 Fabric conditioner can be purchased using voucher codes from ASDA, Wilko, Poundstretcher and Morrisons. People want to have soft, shiny and silky hair but sometimes it is impossible to get the right feel and texture. Hair tends to get oily and rough most especially if you are always out in the sun. If you are struggling to have beautiful hair, then you should find the right combination of conditioner and shampoo that works for you. Using conditioner daily will surely make your hair soft. Not only that your hair will be soft but it will be detangled, protected, and infused with nutrition and vitamins. Anyone who wants to have silky shiny hair has to be particular about their grooming since hair absorbs dust and grime. It is also highly advised that you use conditioners that are mild since there are products that have harsh ingredients that can harm your scalp. Having beautiful hair will not only make you look good but it will also boost your confidence. There are numerous brands of conditioner in the market. Choose the best one that will make your hair look and feel outstanding. Where Can I Find Cheap Conditioner Deals in the UK? When it comes to getting the best moisturising conditioner for dry hair, we got you covered. 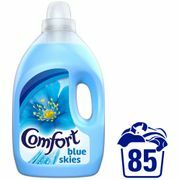 Here at Latest Deals, you can get the latest best conditioner UK voucher codes. Our bargain hunters have gathered the hair care products UK discount codes for your convenience. 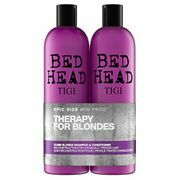 There are plenty of Amazon haircare products that you can purchase at very low prices including conditioners. Don’t forget to use the voucher codes when you buy professional hair products online. You can also read about the best conditioner for dry hair reviews to know the feedback of other people. When you use a Groupon voucher you can save as much as 33% on selected conditioner. When buying from third-party retailers, always check the product and read the label if possible. This is to avoid buying hair products that can harm your scalp. Purchase conditioners that have natural or organic ingredients. Most UK retailers have these kinds of items in their inventory. There is hair care gift sets that you can buy from Wilko, Tesco, Lloyds Pharmacy and ASDA. There are also the availability of cheap deep conditioners for damaged hair. Get as much as 55% discount when you buy shampoo or conditioner at Amazon. When it comes to using conditioners, you should select the best but it does not mean that you have to spend big on it. Here at the Latest Deals, we are committed to give you the best offers, discount codes, voucher codes, and bargains available online. You can get the best shampoo and conditioner from popular brands shipped for free when you buy from Aveda. 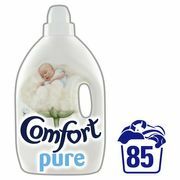 There are also budget friendly conditioners for kids at Superdrug. Foam conditioners are also popular since it leaves your hair feeling soft and silky, which you can get at discounted price at Lloyds Pharmacy. First of all, you need to evaluate the type of hair you have and what particular ingredients of hair product it needs. There are various types of hair, including coarse, limp, dry, curly, straight, coloured, and oily. It can also be a combination of two or more types. Curly hair is drier compared to straight hair and for this reason, you should choose a conditioner and shampoo that has deep moisturising properties which can hydrate your hair. These types of conditioners are creamier and richer than other hair products. Shampoos and conditioners that contain shea butter, nut oils, or germ oils are milder and is great for straight hair. Finding that right conditioner and shampoo for oily, limp, or fine hair is more challenging since there are hair products that slide down the hair quickly which decreases its effectivity when used with these types of hair. Your hair will be oily and sticky after a few hours. Coarse hair should be applied with conditioner daily to make it healthy and to maintain its silkiness. People who have curly hair is also advised to have hot oil treatment at least once a month and use deep conditioner daily. People should stay away from creamy shampoos and conditioners if they have straight hair. You should not use a conditioner daily if you have fine hair. Use it every other day. If your hair is long, keep conditioner away from your scalp and only rubit at the ends of your hair. Stay away from hair products that contain traces of silicone since it will strip away the colour from your hair. If you have curly or coarse hair, use se a stronger and more concentrated conditioner. Do not use conditioners with harsh chemicals and this applies to all types of hair. Avoid using cold water whenever possible when rinsing off your hair. Use warm water instead.